The second edition of the Brussels Biennale of Modern Architecture wants to highlight post-war architecture. 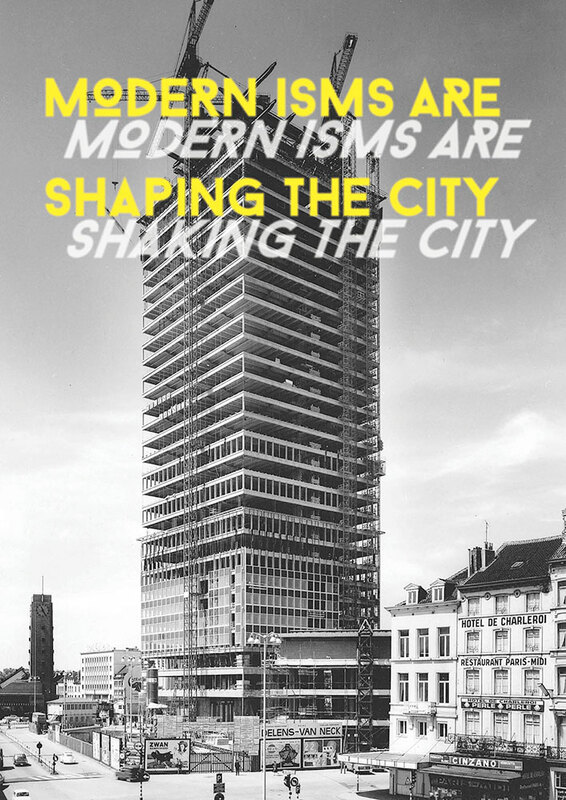 The double title Modern isms are shaping the city / Modern isms are shaking the city indicates to what extent the Belgian capital underwent a metamorphosis after the Second World War: the historical urban fabric was replaced by large-scale infrastructure and new buildings, and certain residential quarters disappeared completely in favour of city motorways and business districts. All these projects coincided with the preparation of the 1958 Brussels World Fair, focusing on progress and a new world. Experiments with novel materials and an abundant use of colours showed a belief in progress while high-rise buildings were conquering the skyline. Residential architecture also changed. The De Taeye Act encouraged families to build their own house and they did so in the rural areas outside the city centre or in the countryside. Others preferred to reside in stylish apartment buildings, with to this day Brusilia being one of the iconic examples. 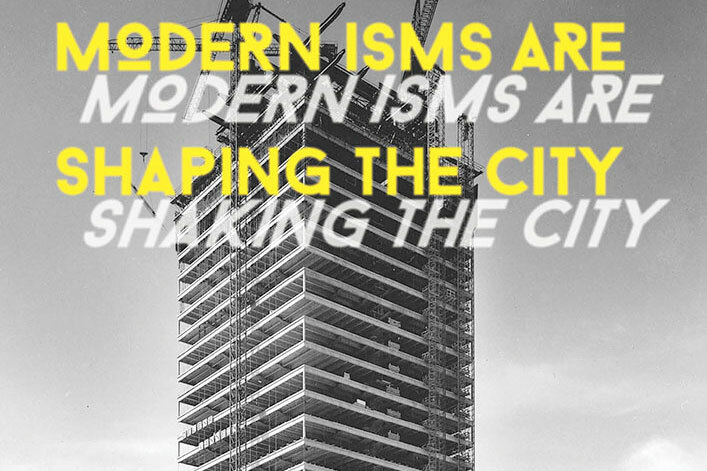 Nowadays post-war modernism does not get the full credit it deserves – not in the least because the use of new materials and techniques made the buildings deteriorate quickly. Consequently most of these buildings were given a facelift and lost their original look and unique concept. It is thus necessary to emphasize the cultural value and touristic potential of this young heritage – even more where original interiors have survived and can be appreciated today. After all, these buildings are much more than an expression of style or an innovative use of materials: they are also important from a social and economical point of view. The buildings that are still preserved in their original condition are true historical monuments, and entering them feels like entering another era. This biennale wants to create public awareness to point out how precious these buildings have become. Posted in news and tagged Brussels, modern architecture. Bookmark the permalink. I simply want to mention I’m newbie to blogs and truly liked you’re web site. Almost certainly I’m planning to bookmark your site . You definitely have exceptional articles and reviews. Thanks a lot for revealing your website. This is having a little bit even more subjective, still I substantially favor the Zune Marketplace. The interface is colorful, is made up of even more flair, and some awesome functions which include ‘Mixview’ that allow for by yourself suddenly view identical albums, audio, or other consumers related toward what you are listening in the direction of. Clicking upon one particular of individuals will heart upon that merchandise, and one more fixed of “neighbors” will appear into view, making it possible for by yourself towards navigate in excess of exploring via comparable artists, new music, or customers. Talking of users, the Zune “Social” is also perfect enjoyable, allowing for you obtain some others with shared preferences and turning out to be friends with them. Your self then can hear in direction of a playlist created primarily based on an amalgamation of what all your good friends are listening toward, which is also interesting. Those anxious with privacy will be relieved in the direction of notice by yourself can prevent the public against looking at your particular person listening routines if on your own thus determine. Whats Taking place i’m new to this, I stumbled upon this I have found It absolutely useful and it has aided me out loads. I am hoping to contribute & aid different users like its helped me. Good job. I am continuously browsing online for tips that can facilitate me. Thank you! I would like to thank you for the efforts you’ve put in writing this web site. I’m hoping the same high-grade website post from you in the upcoming as well. Actually your creative writing skills has encouraged me to get my own web site now. Really the blogging is spreading its wings rapidly. Your write up is a great example of it. Amongst me and my spouse we have owned further MP3 players in excess of the several years than I can rely, like Sansas, iRivers, iPods (classic & touch), the Ibiza Rhapsody, etcetera. But, the past few many years I have resolved down in direction of a person line of players. Why? Considering the fact that I was content in direction of locate how well-designed and enjoyable toward employ the service of the underappreciated (and commonly mocked) Zunes are. I was reading some of your content on this website and I believe this website is really informative! Continue putting up.